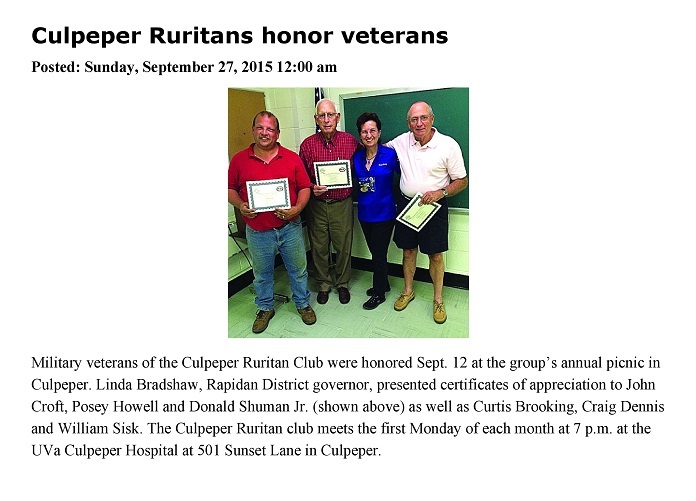 The awarding of certificates of appreciation to the Culpeper Ruritan Club’s veterans were mentioned on the Fredericksburg Free-Lance Star’s website on September 27, 2015. 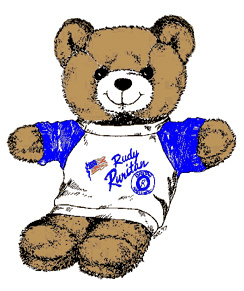 This entry was posted in Announcements, Awards, Events, From the desk of the Governor, In the Media, Local Clubs, Local Ruritan Clubs and tagged Culpeper Ruritan Club, Fredericksburg Free-Lance Star, Fredericksburg.com, veterans. Bookmark the permalink.